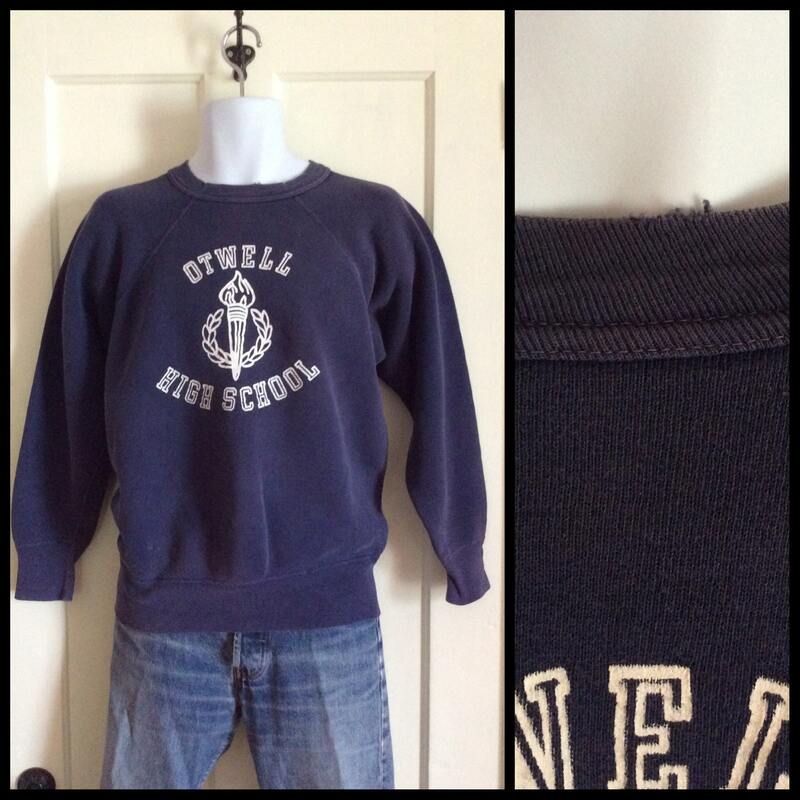 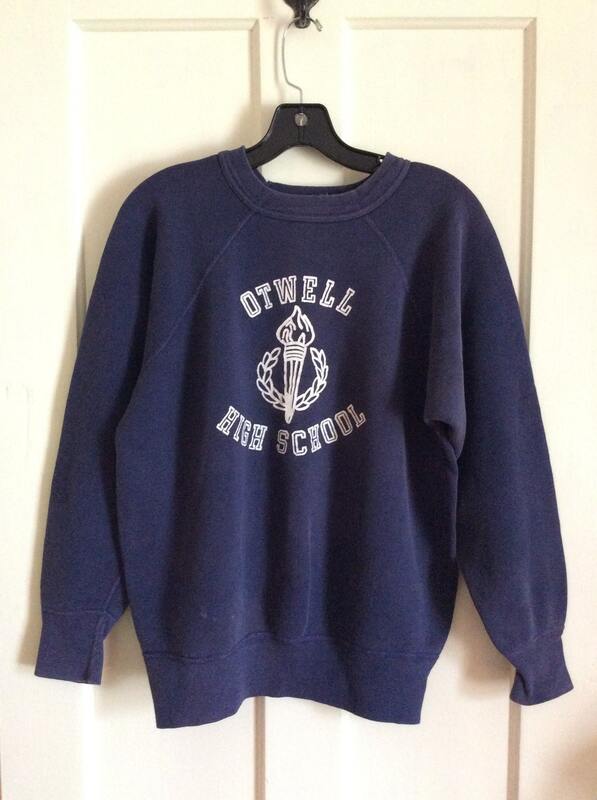 Here's a thick 100% cotton Otwell High School sweatshirt from the 1950's. 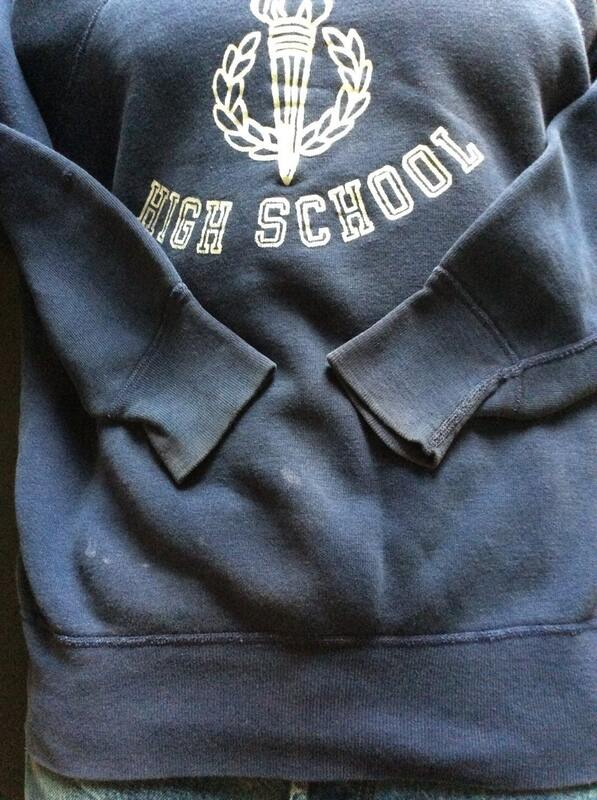 It has some bleach marks on the front and a worn out spot on the collar in front. 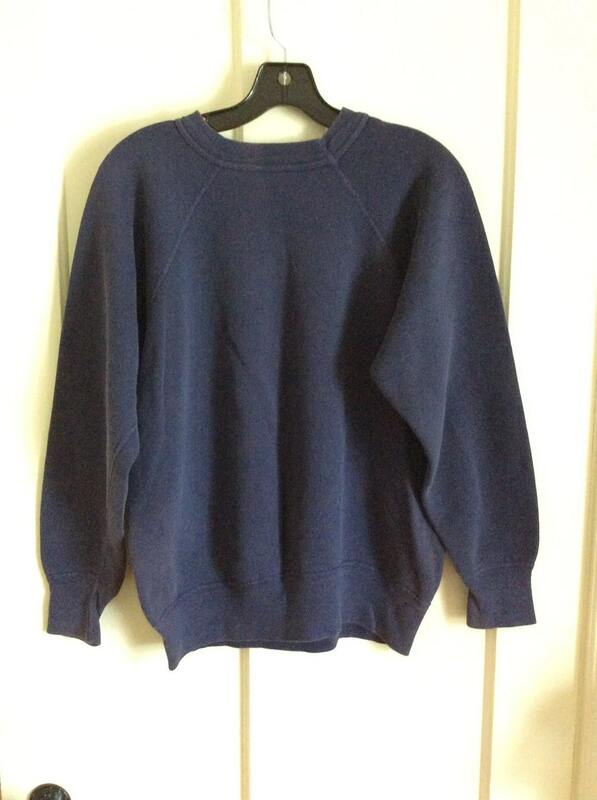 There are 2 small holes in back of the right sleeve and some bleach discoloration throughout. 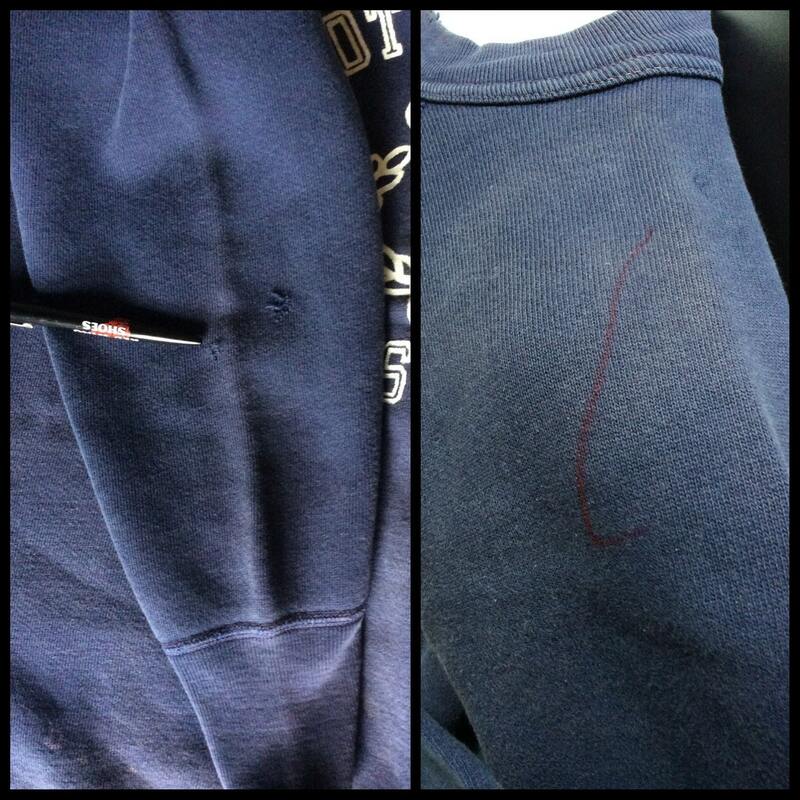 There's a large red pen mark on the left shoulder next to a small blue one, see photos.